Get ready to join our flock! Students learn a world language through direct conversation and dialog in real-time with engaged instructors. See how quickly and effectively you can learn, retain a new language and earn school credit. 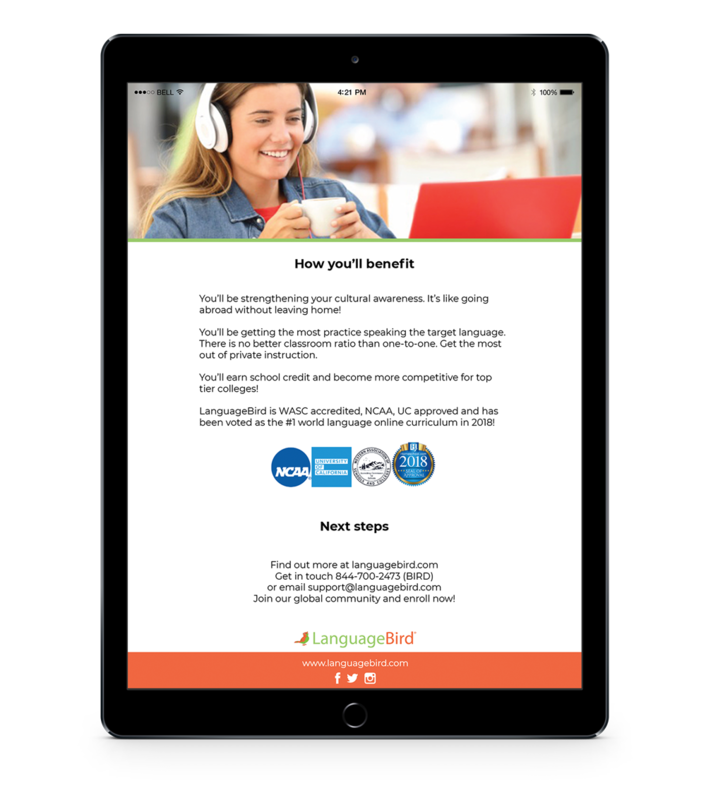 Download this informational PDF to learn more about LanguageBird courses, tutoring and test preparation programs. Accredited. Personalized. Flexible. On your schedule. Most world language courses involve little verbal communication and lots of memorizing. 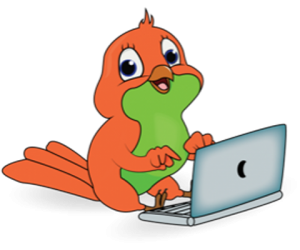 LanguageBird is about creating relationships not logging into software. LanguageBird knows the most effective way to retain a language is through speaking the language and interacting in a live spontaneous environment. A private instructor coaching you is exactly what you need to learn quickly, effectively and on your schedule.